A long-established tradition makes 1233 the year of the foundation of the Order of the Servants of Mary. 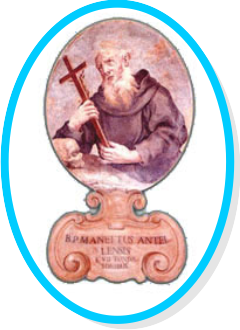 Within the Order, this tradition has been reinforced by the fact that one of its greatest saints, Philip Benizi (+1285), was born in Florence that same year. The origin of the Order was described at length in a narrative, most probably written by the Prior General Pietro of Todi about eighty years later (1317-1318) called theLegenda de origine Ordinis fratrum Servorum Virginis Mariae (The Legend of the origin of the Order of the Friars Servants of the Virgin Mary). It must be made clear at once that the term legend has nothing to do with a work of fiction but rather denotes a piece of writing considered suitable reading matter for spiritual edification. At the time of the founding of the Order of Servants of Mary, religious movements in Florence were many and dyna­mic. A land of monks, it enjoyed the presence of foreign and native-born religious for many years; they were exponents of reform and an austere type of eremitical life. A group of Seven lay men (We are sure of the name of only one of the Seven: Bonfilius)decided to abandon their families and businesses to devote themselves to a life together of prayer, penance and poverty. In that city divided by violence and murder, they gave a visible testimony to fraternal communion. The place to which they retired was Cafaggio, just outside the walls. One of the most important of the Order's priories, that of the Santissima Annunziata, stands today on that very site. Eventually, in search of silence and solitude, they went to Monte Senario, 800 meter high from the seal level, about 18 kilometers far away from Florence. After a certain period, as the number of persons living with them became more and more, they left Monte Senario and founded new communities. The priories in Siena, Citta’ di Castello and Sansepolcro, as well as that at Cafaggio near Florence and Monte Senario, all date from the period before 1256. In spite of a promising start and the support of Peter of Verona, the Servites were soon to encounter such difficulties that the very survival of the Order was placed in jeopardy. In 1215, during the pontificate of Pope Innocent III, the Fourth Council of the Lateran was held. In 1274, the Second Council of Lyons was celebrated in the reign of Pope Gregory X. The Second Council of Lyons (1274) decided to dust off the thirteenth canon of the Fourth Lateran Council. It stated that the Lateran Council's ruling had been so far disregarded that there was now an unbridled multiplication of new religious institutes. And so it decreed that the founding of new mendicant orders was now forbidden. The Order of Servants of Mary fell into this category and now entered into one of the most critical periods of its early history, and managed to save itself from extinction, humanly speak­ing, through the energy, courage and ability of the prior general, St. Philip Benizi. On 11 February 1304, the Dominican Pope Benedict XI, then in the first year of his pontificate, sent a bull Dum levamus to the prior general and all priors and friars of the Order of the Servants of Saint Mary and approved the Rule and the Constitutions of their Order. At the beginning of the fourteenth century, the Servite Order consisted of four provinces in Italy (Tuscany, the Patrimony of St. Peter, Romagna and Lombardy) and one in Germany. There were thirty-one priories and some two hundred and fifty friars. And this current year 2004 is the 700th anniversary (1304-2004) of the Pontifical approval of the Order. Fra. Ángel M. Ruiz Garnica, the Prior General, wrote an important letter to the whole family of Servites, inviting everybody to celebrate this anniversary with a fitting solemnity. In the fourteenth century, the Order was blessed with the presence of many saintly figures, namely Blessed Joachim of Sienna (1306), Blessed Benaventure of Pistoia(1306), Bl. 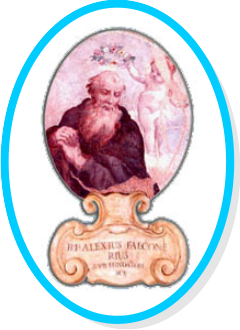 Jacob of Pieve (martyr – 1310); in the same year 1310, St. Alexis Falconieri, the last of the Seven Holy Fathers, died. 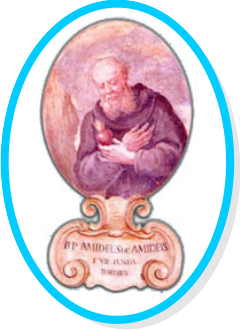 And some other friars, who were distinguished for their holiness, are: Blessed Andrew of Sansepolcro, Blessed Ubald of Sansepolcro, Blessed Boneventure of Pistoia (1315), Blessed Francis Patrizi (1328) and Blessed Thomas of Orvietto (1343). St. Juliana Falconieri died in 1341 and St. Peregrine Laziosi in 1345. Fra. Pietro of Todi was the Prior General from 1314 to 1344. And Fra. Andrew of Faenza was Prior General for 22 years. In 1424, with the Bull Apostolica Sedis providential, MartinV ratifies the organization of the Third Order, today called ‘Secular Order of the Servants of Mary’. 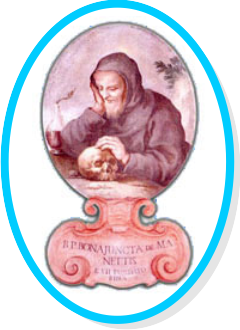 In the fifteenth Century, the Priory of Santissima Annunziata and the Servite Priory at Bologna became study-centers. The ten years (1485-1495) that Fra Antonio Alabanti was prior general of the Order was a period of intense work on his part for the good of the Order on all levels. Among the important achievements of Alabanti was the concession of the so-called Mare magnum, that is the bull Apostolicae sedis intuitus, on the part of Innocent VIII on 27 May 1487. This is sometimes called theMare magnum omnium privilegiorum (a collection of all the privileges) since it was "the renewal and extended official declaration of the many privileges obtained by the Order from the popes up to that time." There are sixteen documents confirmed and written out in their entirety in the bull, including the one from Martin V, Sedis apostolicae providentia (1424) which is the foundation document of the Servite Third Order, whose Rule is also attached. It is difficult to place Servite history within the chronological limits of the sixteenth century than of other centur­ies. The difficulty rises from the complex series of events which influenced the life of the Order in the sixteenth century and from the possibility of using other dates as points of reference (for example, the beginning of the Lutheran reform, 1517; the generalate of Fra Agostino Bonucci, 1542-1553; the Council of Trent, 1545-1563; the end of the Servite Observance, 1570; the restoration of the eremitic life at Monte Senario, 1593; the events surrounding Paolo Sarpi, 1552-1623, etc.). While in the fifteenth century the Order was guided by six priors general, in the period from the death of Alabanti (1495) to the death of Fra Angelo Maria Montorsoli (1600), the Order had twenty priors general, about half of whom were personally named by the pope. Furthermore, in the early decades of the century, the Observance, already in decline, was seriously divided from the rest of the Order; by the end of the century (1570), however, the Servants were fully reunited. Blessed Giovannangelo Porro, who was one among those who took initiative to teach catechism for the children, died in 1505. A few years after the beginning of the Lutheran Reform, many servite Priories in Germany were suppressed. The Priors General Agostino Bonucci (1542-1553) and Lorenzo Mazzocchino (1554-1557) represented the Order in the Council of Trent. Inspired by the reform promoted by the Council of Trent, the Order set about reviewing and updating its Constitutions. 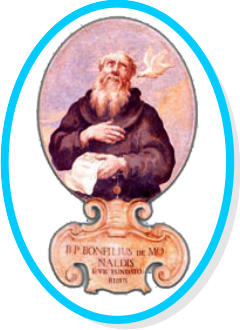 We have already spoken of the "Constitutions" of Bonucci pro­mulgated by the general chapter of Budrio in 1548. The first entirely revised constitutional text was printed in, Rome in 1556 during the generalate of Mazzocchio and then in 1569. The finally revised text was printed in the year 1580 during the generelate of Fra. Giacomo Tavanti. At the end of the sixteenth century, two eminent Servants of Mary were working for the reform of the Order. They were Fra Lelio Baglioni and Fra Angelo Maria Montorsoli. Both were priors general: the first from 1590 to 1597, the second from 1597 to 1600. Montor­soli was the nephew of the sculptor Giovannangelo Montorsoli (1507-1563), a disciple of Michelangelo and a Servite friar, well known for the fountains of Messina, the marble main altar of Santa Maria dei Servi in Bologna and noteworthy works of art in Genoa. Fra Lelio Baglioni is credited with reforming the Order "from the top," by a series of concrete directives and by beginning the Congregation of Hermits at Monte Senario. In 1570, the Congregation of the Observance was reunified with the Order. At the end of the fifteenth century, there were 240 Servite Priories. And there were more than 1800 friars in the Order. It must be noted that the seventeenth century represents a particularly remarkable period in the history of the Order for the great figure of Fra. Paolo Sarpi (1552-1623), a man of exceptional spiritual and intellectual caliber. He was an exemplary friar but was severely opposed by the Roman Curia. Sarpi's intense activities as consultor of the Republic of Venice are well documented in Italian history. The foundations of the Servants of Mary began at Innsbruck (1613), spread to the rest of Austria, Bohemia, Germany and Hungary, and formed the Germanic Observance. From the begin­ning they were marked by the spirituality of the hermits of Monte Senario. And it was much insisted and developed by Anna Caterina Gonzaga. The official end of Germnaic Observance came in 1908. The Pope Innocent X, after having made a detailed census of the religious Orders, with the constitution Instauran­dae regularis disciplinae of 1652 insisted that the houses that could not support their religious should be suppressed and impeded the desired reform of religious orders and the renewal of regular observance. The application of the papal directive required the suppression of 102 of the Order’s 261 houses existing in Italy in 1650. The Annals of the Order considered this entire affair to have been a disaster, but the history of the Order in succeeding decades belies that judgment. The annals of the order was first published in 1618. And Collegio Gandavense was given new life in 1666 and new academic diplomas in Theology were conferred. The Pontifical Theological Faculty Marianum succeeded the Collegio Gandavense. And in the year 1671 Philip Benizi was canonized and it was celebrated very solemnly. The life-style of the friars in Monte Senario influenced the whole Order during the generelate of Giulio Arrighetti who was Prior general from 1682 to 1700. Some important figures in the Servite history of the 17th century are: Arcangelo Gianni (…-1623), Luigi M. Garbi (…-1722), Placido Bonfrizieri (…-1732), the artists Giovanni Angelo Lottini, Arsenio Mascagni who made the paintings in the Castle and the Cathedral of Salzburg, painter Giovanni Battista Stefaneschi, and Pierre Paul Perrier Duprè. And also a few others who are worthy of mention are: Maria Bendetta (Elisabetta) Rossi (…-1648), founder of the Monastery of Santa Maria delle Grazie di Burano (Venice), and Arcangela Biondini, founder of the Monastery of Arco. The events and the life of the Order in the eighteenth century look like a kaleidoscope of contrasting and even contra­dictory features. In the first half of the century the Servants of Mary reached the highest number of friars in their entire history. But the suppressions at the end of the century and in the first decade of the nineteenth century brought about the closing of a large number of priories and the dispersal of the majority of their friars. The first half of the eighteenth century was characterized by a great vitality. There were various decrees and instructions for the improvement of studies in the Order. 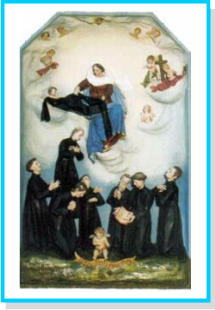 Devotion to Servite saints and blessed, including the Seven Founders, experienced a great growth. Peregrine Laziosi was canonized on 27 December 1726 and Juliana Falconieri in 1737. A detailed program of studies (Methodus studi philosophici et theologici) prepared by Fra Francesco Raimondo Adami in 1769. Taken together, these constitute a true and proper Ratio studiorum of the Order around the middle of the eighteenth century. In the hundred years from 1770 to the fall of Rome in 1870 the Order experienced a series of suppressions that decimated its presence in Europe. These suppressions, beginning in the eighteenth century, were part of a general policy directed against religious orders first in the France of Louis XV, then in the Hapsburg Empire, and finally under Napoleon Bonaparte. In 1778-79, the Hermetical Congress of Monte Senario was suppressed. From 1719, the Servites Giovanni Domenico Fabris and Sos­tegno M. Viani took part in the legation of Carlo Ambrogio Mezzabarba to China in the context of the Chinese rites controversy, which was not finally settled until the time of Pope Pius XII. The distinguished servites of this period are: Uguccione (Antonio) M. Dias Quaresma who got special constitutions approved by Pope Clement XII in 1734 for a Servite Third Order Regular to be established in Brazil; Fra. Filippo M. Serrati who tried to found the Servite Order in China (1738-1744); Carlo Francesco M. Caselli, Theological consultant to Giuseppe Spina and later to Cardinal Consalvi in the negotiations for a concordat between Napoleon and the Holy See; Fra Amadio Berton­celli who was executed in Ancona on 16 September 1809, as he was accused of being in possession of alarming correspondence with the Holy See. 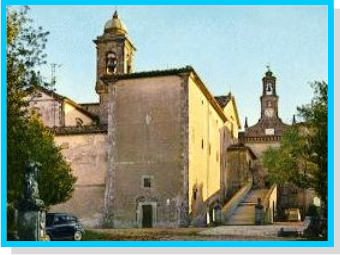 A few other figures worthy of mention are: Maria Luisa Masturzi who is said to be in connection with the foundation of the Monastery of Rome (Colle Fanella), and Mary Maddalena di Gesù (Piazza), founder of the monastery of Montecchio Emilia. In looking at the servite history during the nineteenth Century in general terms, 1815 stands out as the beginning of a short-lived revival, whereas the later 1800s and early 1900s would see a solid and lasting rebirth, starting slowly and gradually increasing right through to the 1960s. In the very middle of this time-span (1815-1964) we find the canonization of the Seven Holy Founders of the Order (1888), an event which is closely bound up with the revitalization of the Order in the twentieth century. For an Order of limited size like the Servants of Mary which had already suffered under previous assaults and which was located almost entirely in Italy, the laws of suppression proved almost fatal. A letter from the prior general, Fra Bonfiglio M. Mura, in 1863 urges remedial action and speaks of "a question of life or death." In 1864, the first non-­Italian prior general, Bonfiglio M. Mura (1859-1868) sent Fra. Filippo M. Bosio and Fra. Agostino M. Morini to England to found the Order there. In 1874 Fra. Agostino Morini founded the Order in the United States of America. It was during this period of renewed devotion to Servite saints and blessed that the Order took up again the process for the canonization of the Seven Founders. In 1884 Pope Leo XIII personally decreed that the cause of the Seven could go ahead, after an interval of nearly 150 years, with four miracles obtained by invoking the Seven as a group considered sufficient. The decree approving the four miracles that had been presented was published on 27 November 1887. On the 15th of January 1888, the Seven Founders were canonized in Rome. Fra. Antony M. Pucci was also present for the canonization rite of the Seven Holy Founders. Four years after the canonization of the Seven Holy Founders Fra. Antony M. Pucci died and was canonized in 1962. The canonization, which occurred during a period in which the repressive laws against religious institutes in Italy were being gradually eased, gave renewed confidence to the entire Order. And if its achievement is linked to the name of the prior general, Fr. Pier Francesco M. Testa (1882-1888), its earlier preparation must be attributed to predecessors like Fr. Giovanni Angelo M. Mondani (1868-1882), and even to Fr. Bonfiglio M. Mura, a close friend of Pope Leo XIII. From the middle of the nineteenth century onward a number of congregations of sisters from different parts of the world have come to join the wider family of the Servants of Mary. The present situation of the Order can be seen more clearly from a comparison with two hundred years ago. While the 1700s saw the biggest numerical increase of the Order, the 1900s have witnessed its widest geographical distribution. In fact, the Order is now present on all five continents and in about thirty different countries. This internationalization of the Order is reflected in the following comparison. From 1233 to 1913 the Servants of Mary had only one non-Italian prior general, Albuin M. Patscheider. From 1913 to the present day, five of the nine priors general have been non-Italians: from France Alexis M. Lépicier (1913-1920), from England Austin Moore (1926-1932), from the United States Joseph M. Loftus (1965-1971) and Peregrine M. Graffius (1971-1977), and from Canada Michel M. Sincerny (1977-1989), from Belgium Hubert M. Moons (1989-2001), from Mexico Ángel M. Ruiz Garnica (2001-….). In the twentieth century, the Order took up in a great deal the responsibility of missions and new foundations. Today the Order has official responsibility for the following mission­ary territories: Swaziland since 1913, Acre in Brazil since 1919, Aysén in Chile since 1937, and Zululand in South Africa. To the above list should be added foundations in Argentina from 1914 and more solidly since 1921; Transvaal in South Africa since 1935, Uruguay 1939, Bolivia 1946, Mexico 1948, Australia 1951, Venezuela 1952, Colombia 1953, India 1974, Mozambique 1984, Philippines 1985, Uganda 19..., Albania 1993, and also the refoundations in Hungary (Eger) and Czech republic. In 1943 a Servite House was opened by Joan Barlett in London. It became a Servite Secular Institute while Regnum Marie (a secular institute) was born in 1959. By the initiative taken by the Prior general Michael M. Sincerny, the International Union of the Servite Family ( UNIFAS) was born in 1987. After the Second Vatican Council, the Order undertook a renewal of its Constitutions. The general chapter of 1968 (Majadahonda, Madrid) began the process of constitutional renewal. The process of its renewal was concluded with the approval of the Holy See in 1987. Some of the outstanding events of the twentieth century are: Marianum as a Pontifical Theological faculty (1950), the beatification (1952) and the canonization of Fra. Antonio M. Pucci, establishment of the Historical Institute of the Order (1959), CLIOS –Servite International Liturgical Commission (after Vat. II), the scholarly journal of Servite history Studi Storici dell'Ordine dei Servi di Maria(Historical Studies of the Order of Servants of Mary), and the reviewMarianum (from 1939 onward), the Canonization of Clelia barbieri (…-1870) founder of the Minime dell’Addolorata, the beatification of Ferdinando M Baccilieri of the servite Secular Order (1997), the canonization of Sr. Maria Guadalupe Ricart Olmos (2001), a Spanish cloistered nun who was a martyred during the civil war of Spain. The outstanding figures of the twentieth century are: Fra. Henri Alexis Lèpicier (1863-1936), Prior general and cardinal; Gabriel M. Roschini (1900-1977), an eminent mariologist; Gioachino M. Rosetto (1880-1935) the first servite missionary in Africa; James M. Keane (1901-1975) for beginning the Order in Ireland and in Australia; and two young friars Venanzio M. Quadri (1916-1937) and Gioachino M. Stevan (1921-1949). And we cannot forget the following distinguished figures of the twentieth century: Fra. Giovanni M. Vannucci (died in 1984), a mystic and author of many important writings; and Fra. David M. Turoldo, a great poet (died in 1992).